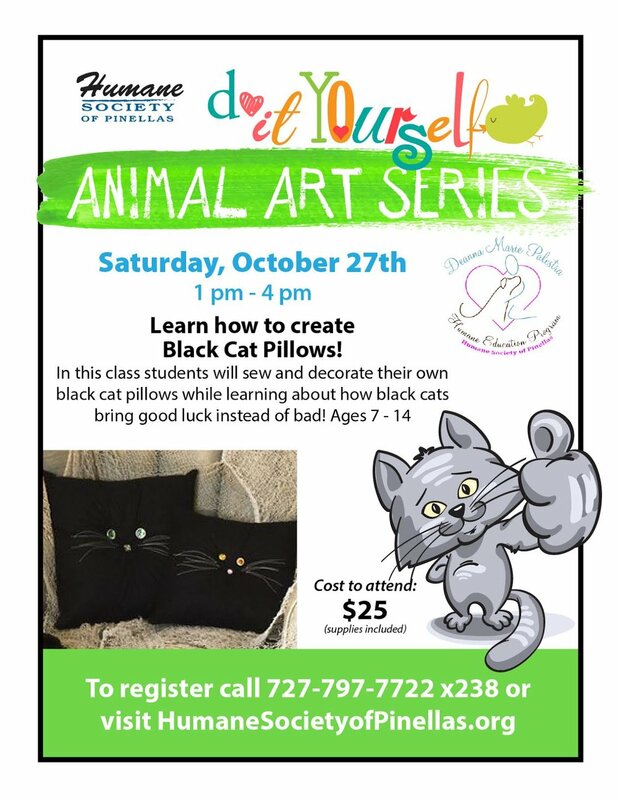 Bring the kids to the Humane Society of Pinellas for our youth Art Classes led by our Humane Education and Outreach Coordinator, Lucy Monette! Lucy is a certified Humane Educator that specializes in fostering a love of animals and community service in young and school age children. Each month, Lucy offers an art class for families to create animal-themed crafts. Encourage fine motor skills, creativity and a passion for shelter pets with each craft! 100% OF CONTRIBUTIONS ARE RETAINED BY OUR ORGANIZATION. A COPY OF THE OFFICIAL REGISTRATION (REGISTRATION NUMBER SC-01422) AND FINANCIAL INFORMATION MAY BE OBTAINED FROM THE DIVISION OF CONSUMER SERVICES BY CALLING TOLL-FREE 1-800-435-7352 WITHIN THE STATE OR VISIT 800HELPFLA.com. REGISTRATION DOES NOT IMPLY ENDORSEMENT, APPROVAL, OR RECOMMENDATION BY THE STATE. HSP DOES NOT USE PROFESSIONAL SOLICITORS.